What’s needed to inspire better involvement? Despite increased attention on science, technology, engineering and maths (STEM) learning, studies continue to show that only a small portion of girls and women are likely to pursue advanced education and careers in STEM. The low number of women in STEM has far-reaching consequences. Women bring a different perspective to STEM and help ensure that advances represent the needs and interests of society in broad terms. More importantly, women make up half of the human population, and brilliance is not exclusively a male trait. How many Einsteins, Teslas and Da Vincis have we lost because society convinced them that they weren’t up to the challenge? A more diverse STEM workforce helps create more innovative, creative and competitive products and achievements. And as long as women remain underrepresented in higher paying, influential STEM occupations, we can expect prevalent attitudes and disparities to continue. In this article, we look at some of the reasons why so few women participate in STEM and what educators can do to encourage better inclusion and diversity in this field. What do we know about women and STEM? Research shows that gender differences in STEM education participation begin as early as Early Childhood Care and Education. As girls age, their interest in STEM subjects declines, particularly between early and late adolescence when students begin choosing what they study. And the gender gap in participation becomes more obvious in higher education. Female students represent only 35% of all students enrolled in STEM-related subjects globally. There’s also a larger female drop-out rate in higher education STEM studies, despite equal academic performance and capability among boys and girls. So, what’s causing this alarming trend? Studies suggest that girls’ lack of participation in STEM learning is the result of a range of factors. Gender discrimination. Discrimination and sexual harassment in the STEM workplace are significant barriers for women pursuing a career in this field. Women in STEM jobs report receiving less pay, leadership support and opportunities for advancement. Studies also note the continuing ‘Matilda effect’ afflicting female scientists, where the achievements of women are denied official recognition and award. Self-perception, stereotypes and STEM identities. Gender stereotypes about girls and STEM can negatively affect a girl’s attitude and interest in pursuing studies or a career in STEM. 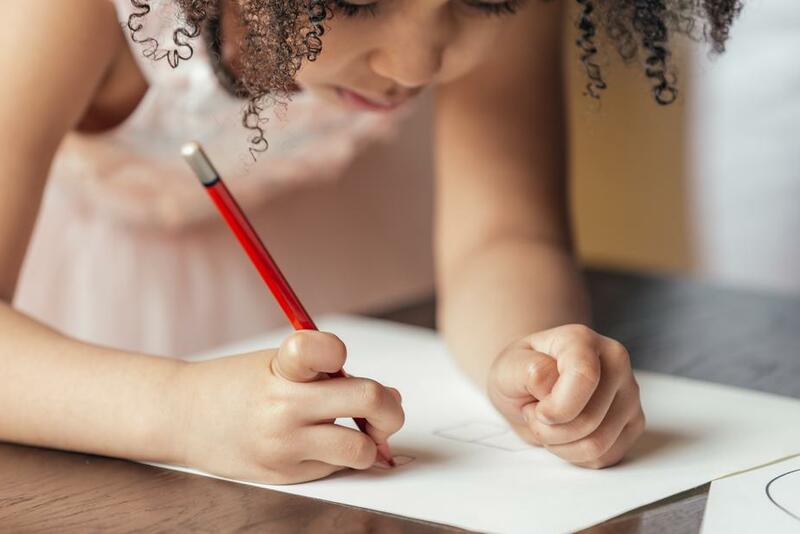 Many girls and young women can’t picture themselves in STEM roles, believing that ‘boys are better at mathematics and science than girls’ and ‘science and engineering careers are male domains. Self-efficacy. Girls’ lack of belief in their ability affects both STEM education outcomes and aspirations for STEM careers. Girls who assimilate gender stereotypes have lower levels of self-efficacy and confidence in their ability than boys. Interest, engagement and enjoyment. Interest and a sense of belonging play an important role in girls’ higher education subject choices and career plans. Many girls want careers that are creative and socially responsible and don’t see the opportunity for STEM to offer that. Family beliefs and expectations. Parents with traditional beliefs about gender roles can reinforce negative stereotypes about female ability in STEM. Family values, environment, experiences and encouragement also influence girls’ participation and learning achievement. Peer influence. The influence of female peers has an impact on girls’ motivation and feeling of belonging in STEM education. Students with friends who value academic achievement are more likely to value mathematics and science. Teacher attitudes, beliefs and behaviours. Teachers’ perceptions of gender ability can create unequal classroom environments and dissuade girls from pursuing STEM studies. The quality of teachers, including their subject expertise, teaching practices and the way they manage social relationships, also influence whether a girl will participate in STEM learning. Curricula, learning material and assessments. Educational material or tools that are gender-biased or include gender stereotypes can negatively affect girls’ performance in STEM. 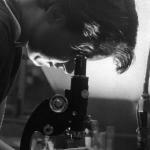 Dr Rosalind Franklin: Captured the first imagery of the double helix. Alice August Ball: Pioneered the Dean Method, a revolutionary treatment for leprosy. Dr Anne Szarewski: Demonstrated the human papillomavirus (HPV) was linked to cervical cancer. Jocelyn Bell Burnell: Discovered the first radio pulsars. Lisa Meitner: Helped discover nuclear fission. 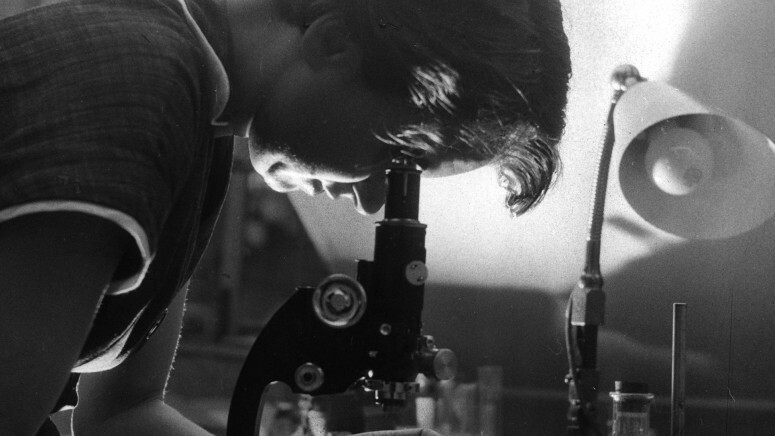 Nettie Stevens: Discovered gender is determined by male sperm chromosomes. How can we keep girls involved in STEM? It’s clear that schools play an integral role in inspiring and nurturing girls’ interest in STEM subjects. Here are five key things educators can do to help change how girls feel about STEM. Girls who are more confident in their learning abilities are more likely to pursue STEM education. Educators can reduce gender stereotypes about STEM in the classroom by encouraging a growth mindset environment. A growth mindset embraces the idea that intellectual skills can be acquired and anyone who works hard can succeed, regardless of gender. Teachers can make the classroom a safe place, encouraging girls to ask questions, make mistakes, and even be confused and frustrated at times. Educators play an important role in encouraging girls to study STEM and stay interested as they progress. Teachers can talk to female students about the different fields of STEM and the exciting career opportunities for women. They can emphasise the success students have achieved in STEM, ensuring girls are prominent in the stories. They can also identify specific areas of interest and connect them with support, mentoring and scholarships. Girls need to see professional female role models who they can relate to and aspire to be. Schools can actively recruit professional women in STEM roles to encourage female participation and demonstrate a pathway for turning STEM into a successful career. Teachers can also emphasise the accomplishments of female engineers, mathematicians and computer scientists and their dramatic impact on the world today. Girls are more interested in pursuing STEM when they understand how it can be used to help others. Teachers can use real-world examples to show how STEM provides a powerful creative outlet and opportunity to make a difference. They can also introduce activities that consider girls’ interests to help girls engage with and contextualise the social impact STEM has in the real world. Hands-on experiences are a powerful and creative way for girls to explore STEM. Teachers can introduce practical experiences that appeal to both genders, such as gamification (game-based learning), class challenges, science excursions and laboratory experiments. They can also support girls into extracurricular STEM activities that build their self-confidence and develop their interest in STEM subjects. With Green Galaxies, students use real energy data from their school to model and create solutions to real-world challenges. The program has cross-curricular application, allowing teachers to integrate learning areas with greater appeal to female students. STEM can be combined with the arts and social sciences to help interpret abstract concepts and demonstrate creative application. Educators play a pivotal role in encouraging more girls and women into STEM education and careers. Girls need to hear the message that STEM offers real-world opportunities full of creativity, social responsibility and purpose. By providing inclusive and engaging learning experiences, teachers can inspire and cultivate girls’ aspirations in STEM and advance gender equality in society.